It is common for people to hide their smile, especially if they’re unhappy with the look or their teeth. Covering a smile can be a habit that results in others not receiving the best impression of them. Gaps due to missing teeth are one of the prime reasons we see patients hiding their mouths when smiling, laughing or speaking. With dental implants, Dr. Tanner has seen his patients obtain life-changing results both personally and professionally. A dental implant is a natural-looking replacement for a missing tooth. It involves a process that takes three to four months but supplies a lifetime of function and beauty. 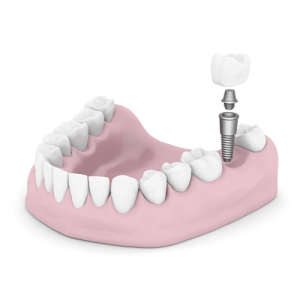 An implant is a titanium screw that acts in the same manner as a natural tooth root. The implant is inserted into the jawbone during a surgical procedure. After several months of healing, the implant is fitted with an abutment and a permanent crown. Implants are even suitable for front teeth. 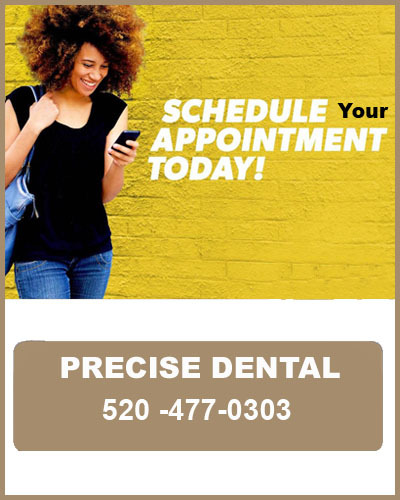 Another way in which Dr. Tanner uses implants is in supporting dentures. Denture wearers are now given the revolutionary option of the Mini-Implant. It consists of several implants being inserted into the jawbone. Customized dentures are fabricated to snap easily onto the ball at the exposed end of the implant. Using the implant-supported denture, patients are able to enjoy all the foods they love and enjoy without worrying that their denture will slip or fall out. Furthermore, the mini-implant allows for the removal of the denture so the patient may maintain daily oral hygiene. Caring for an implant or implant-supported denture is easy. With daily brushing and flossing, the health of gum tissue is maintained through the elimination of harmful bacteria. With these few simple steps, an implant can last an entire lifetime. Your smile is the way in which you greet the world. If you’ve been living with a gap in that smile, visit Dr. Tanner to discover if a dental implant is a viable treatment option to restore your smile to its very best.